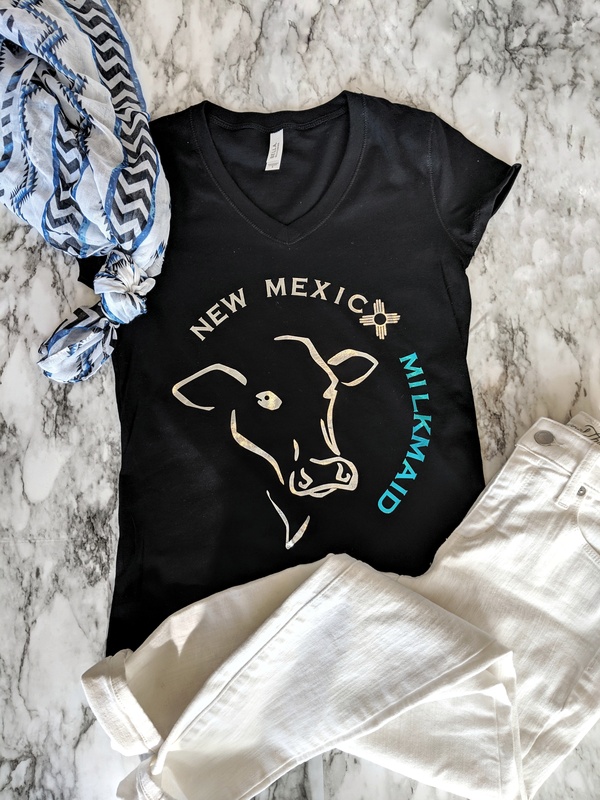 This tee fits like a well-loved favorite, with a V-neck, featuring a modern slim fit, long sleeves and superior Airlume combed and ring-spun cotton that acts as the best blank canvas for printing. 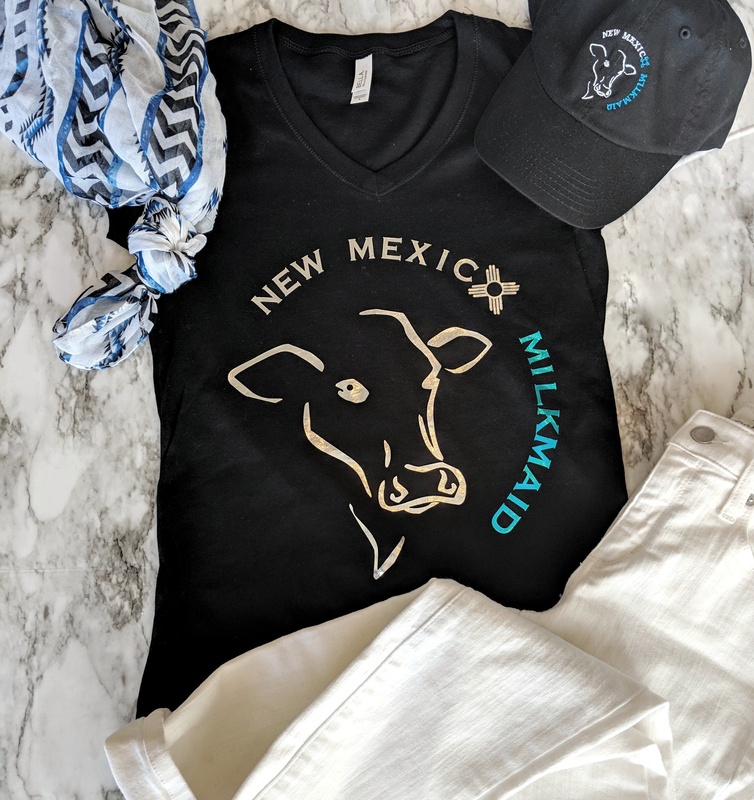 Offered in black with white and turquoise metallic New Mexico Milkmaid logo. Material: 100% Airlume combed and ring-spun cotton, 32 single 4.2oz.